Belmont Village Cardiff by the Sea was wonderful and very clean. They sent me something in the mail to go to a seminar. I went to that and was treated extremely well. They had these wonderful cookies and ice cream. Afterward, I had a really good tour of the independent living. It's like a 5-star hotel but really expensive. Belmont Village Cardiff by the Sea had the more interesting lectures for me. For a Saturday morning activity, they were all around and playing a word game. It was one of those things that you can do as a group. It would have been fun for me. It’s right off of a freeway, so to me, there’s nowhere to walk. You can look across the street and see nature, grass, and trees. It’s an old building, but they’ve done it over beautifully. The furniture was really interesting, and they put a lot of money and time into the surroundings and the building itself. They had a little coffee bar which was very cute, but it was more expensive, and I liked it the least. It was more money for less as far as I’m concerned, and there was hardly anybody around. Nobody looked that happy. This facility is nice. We also love the couple who plays for the happy hour. I think their group name is The Musicstation. They are the best of all the entertainers who plays for happy hour. We liked Belmont. It was near her friends, and they had a special program for people with early dementia. The people were great. I would recommend this place. Belmont Village Cardiff by the Sea was very large. They had a lot of facilities that would not be used by my parents and they were very expensive. They had a swimming pool and a huge exercise room, and it was more institutionalized. They were about $2000 to $3000 a month more than the other places. They had a saleslady that took me around and she did a good job. Belmont Village Cardiff was fabulous, and they have everything you could possibly imagine. They even have a swimming pool; however the rate for a room which is actually smaller than the one she has chosen with the other facility was twice the amount almost. I can certainly appreciate the fees because of the services and the amenities that they have. Belmont takes pride in all they do! From the care they give to their own residents, to the local communities. I have sent many of my patients to reside there over the years and have heard nothing but positive reviews from all. Take a tour and you will see first hand why they are so amazing! Belmont Village had both facilities for senior and assisted. The place was very pleasant. It also had a small community feel that I liked. The location was right for me and it would be easy for friends and relatives to visit. They had several different sizes and prices of rooms. They had dual rooms for assisted living and senior living. They had three different types of apartments for senior living. I liked that I had a choice of what I would want. The staff was very friendly and helpful. The food was quite good. They had a gym for the senior living and an exercise program for the assisted living. My first visit to Belmont village was a Hawaiian themed Luau. Their were quite a few people there with live acts such as hula dancers. The food was good, not 5 star but it was definitely something I could eat everyday and better then my university cafe. My second visit was for a thanksgiving day lunch. The service was very good for this event, lots of waiters going around keeping their eye on water as well as providing good clearing services. The food was again fine, I expected it too be a little bit better quality then it was but the food wasn't that bad, and they probably served something better later so I didn't really get bothered by that. My third event was for easter and it was much less serious than thanksgiving. Less employees working about and it was a brunch as well. Overall my experiences at Belmont have all been great and each time has been satisfying. I know my Grandmother is receiving all the care she needs for her Alzheimer's. Belmont Village Cardiff by the Sea was very nice. It's a wonderful place, it's clean, new, and modern. The staff that we met was excellent and the food was very good. Belmont Village Cardiff by the Sea was very nice and very suitable for us. It would be fine. The activities were all good. Their pricing was about the same as other places, though they are a buy-in. It looked satisfactory to us. 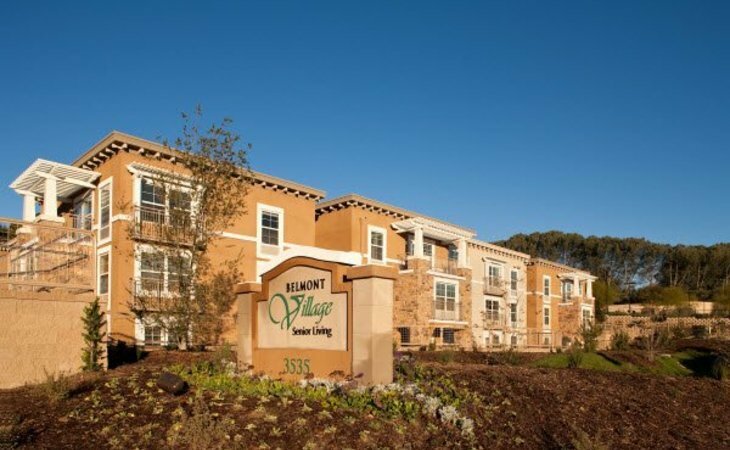 The beautifully appointed senior living community of Belmont Village Cardiff by the Sea, California provides an exceptional level of service and support for independent living, assisted living, and Alzheimer's residents. We offer a program for residents with Mild Cognitive Impairment in our Assisted Living called, "Circle of Friends." The program was piloted 7 + years ago and is research based. The programs emphasis is in providing therapeutic programs 7 days a week which focuses on training and reinforcing a person's cognitive abilities while at the same time building cognitive reserves. The program assists our residents in organizing ideas, task sequencing, expressive and receptive language, critical thinking while having fun and being with their friends who share the same journey. Each of our residents feel a sense of purpose, belonging and receive a lot of encouragement. What should caregivers and potential residents know about Belmont Village Cardiff by the Sea?